4 + = 13 Required Please enter the correct value. Earlier this month, JP Morgan recommended yield seekers swap a sizable chunk of junk bond holdings for dividend-paying stocks. The investment bank explained the elevated chance of default from junk bonds simply isn't worth the risk for today's nominal returns. Junk bond yields have recently shrunk to less than 5% and don't yield much more – or any more in many cases – than less dicey investments such as dividend stocks. For long-term investors, dividend-paying stocks, and dividend growers in particular, are indeed a much better bet. "A stock with a 2.5% yield today becomes a 4.9% yield in seven years, assuming a company can increase its payment by 10% a year, and that's if its share price doesn't change," according to Barron's. Yet the share price of a company that boosts its dividend tends to rise because dividend hikes attract buyers. The likely end result is lucrative returns from income and capital appreciation. Last week, 18 companies increased their dividends, two announced special dividends, and one initiated a dividend. Following are the 21 dividend enrichments announced for the week ending June 27, 2014. Banco Santander Brasil SA (NYSE ADR: BSBR) boosted its quarterly distribution 85.2% to $0.047 a share for a yield of 24.02%. 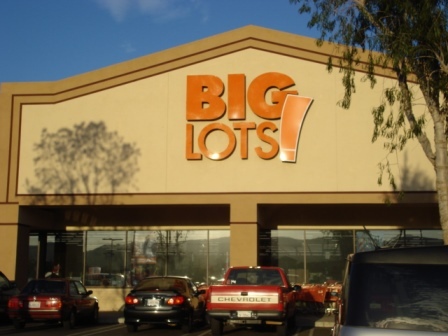 Big Lots Inc. (NYSE: BIG), citing confidence in its long-term opportunities to drive profits, will pay its first dividend on July 29. The closeout retailer will begin paying a quarterly dividend of $0.17 per share for a yield of 1.5%. BRF SA (NYSE ADR: BRFS) announced a special $0.19 per share dividend payable Aug. 25 to shareholders of record July 3. Chesapeake Energy Corp. (NYSE: CHK) raised its quarterly payout 6.3% to $0.087 a share for a 1.15% yield. Glacier Bancorp Inc. (Nasdaq: GBCI) increased its quarterly dividend a penny to $0.17 a share for a yield of 2.4%. The Montana bank has declared 117 consecutive quarterly dividends and has increased its dividend 37 times.